The purpose of the EULAR/JCR Exchange Programme is to promote the international exchange of clinical and research skills, expertise and knowledge within rheumatology between Europe and Asia-Pacific. This exchange programme allows participants to share knowledge and experience, and creates opportunities for collaboration. The Japanese College of Rheumatology (JCR) selects some fellows and sponsors them to travel to EULAR Centres of Excellence in Europe. The purpose of the EULAR/ACR Exchange Programme is to promote the international exchange of clinical and research skills, expertise and knowledge within rheumatology vetween Europe and North/South America. The program recognises outstanding rheumatology professional faculty in both laboratory and clinic-based research, and provides exposure to the exciting work being done by colleagues overseas. This exchange programme allows participants to share knowledge and experience, and creates opportunities for collaboration. 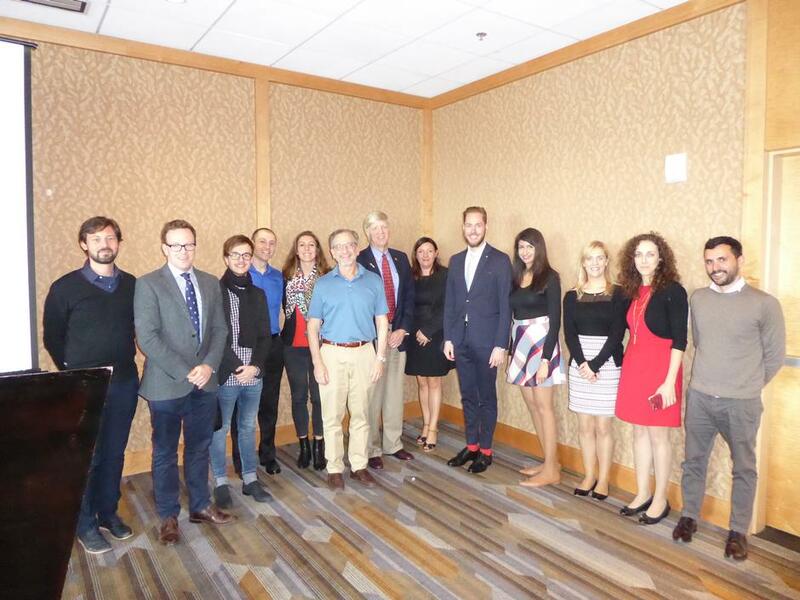 The programme supports junior academic rheumatologists and rheumatology professionals to travel from Europe to the United States to experience the ACR Annual Meeting, engage in a half-day exchange program with American colleagues at the Annual Meeting and participate in a subsequent site visit at a local institution. If you would like to send links to the EMEUNET website or if you have any other comments or suggestions regarding our website, please send us a message or an email to emeunet@eular.ch. We will reply! Do you know of a good resource you would like to see listed on the EMEUNET website? Please access the Contribute page or send us an email to emeunet@eular.ch . Your link will be reviewed by the EMEUNET Social Media Subgroup and if deemed appropriate, it will be published on the website. When considering what information to include, please take a look at our links.